Small Animal Operating Rooms is needing a part time On Call technician for after hour procedures and emergencies. This position requires coverage from 5pm to 8am Monday through Thursday and 5pm Friday to 8am Monday (rotating shifts with other on call technicians). 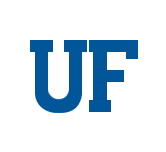 The University of Florida Small Animal Hospital is recruiting for a Multi-Service Veterinary Technician. The Anesthesia Department at the UF Veterinary Hospital is looking for part time person to assist in the cleaning, stocking, maintaining equipment, supplies and prep room. The hours will vary from am and pm shifts, Monday through Friday. The University of Florida Small Animal Hospital is seeking self-motivated and compassionate veterinary technicians to become part of our Progressive Care Ward team. The PCW acts as the stable patient care hub for the entire small animal hospital, ensuring each new day offers an exciting and varied array of patient cases. Our cutting edge facility offers you the opportunity to learn advanced patient care techniques in a supportive learning atmosphere. The PCW is the perfect gateway for new and experienced technicians to become better acquainted with the hospital’s culture and practices. Our technicians work in a fast-paced, teaching-driven environment alongside other experienced veterinary technicians, volunteers, students, and clinicians. If you have a passion for patient care and furthering your technical aspirations, the PCW is the place for you. The Administrative Support Assistant III assists and supports the Procurement Services management team which includes Asst. VP & Chief Procurement Officer and other Directors in their official responsibilities by supporting internal and campus-wide purchasing processes and all Procurement Services operations including financials. The successful candidate schedules and maintains calendars, coordinates meetings and composes and edits correspondence for Management team and takes meeting minutes as needed. This position confers with Management team on matters (including confidential) to establish and implement department policy, procedure and employee performance. This position compiles and maintains hard copy and e-files of office correspondence and other public documents, and is responsible for the hiring and evaluation process of position(s) supervised, OPS/CWSP and temporary employees. The Administrative Support Assistant III Serves as Directory Administrator for Procurement Services. This position serves as a Client Service Representative in The University of Florida’s Small Animal Hospital. This incumbent is responsible for communicating with clients during their visits. He/she is responsible for making sure clients and their pet feel welcomed and taken care of when they come to the hospital. The incumbent is responsible for coordinating the daily activity of animals admitted to and discharged from the Small Animal Hospital. The Client Service Representative admits patients and reviews bills. The UF Division of Enrollment Management is looking for a motivated and talented graphic designer for print and digital media. Our creative communications team supports the division and the offices of Admissions and the University Registrar. The Department of Housing and Residence Education is searching for two HVAC Mechanics. This position is responsible to the Maintenance Supervisor within assigned area of the Department of Housing and Residence Education (HRE) at the University of Florida. The successful candidate has knowledge of heating, ventilation, air conditioning, and refrigeration (HVAC-R) systems; inspects, maintains, repairs, and installs HVAC-R systems and their associated components including conventional, networked, and direct digital controls. The HVAC Mechanic demonstrates professionalism in terms of behavior, appearance, hygiene, and language, maintains a safe working environment, maintains effective working relationships, and communicates both verbally and in writing with various levels of staff. The Finance and Accounting Treasury Management department is seeking a part-time (20 hours weekly) TEAMS Program Assistant who will be responsible for assisting with all aspects of the Human Subject Payment Program (HSP). This position monitors studies that are expired or expiring to complete close out activities, processes returned gift cards, prepaid debit cards, or other tender types, prepares journal entries associated with returns, and removes the cards from studies in HSP module. This position verifies gift card balances and returns them to TM inventory. This position checks in/receives gift cards, prepaid cards, and other tender types, activates gift card batches and e-gifts cards, prepares excel spreadsheets and other documentation detailing allocation of gift cards, prepaid bank debit cards, and e-cards to specific research studies. This position assists in distributing the payment types to UF HSP custodians, and prepares custodian receipt and responsibility statement forms. This position assists in creating and uploading journal entries related to charging studies for payments provided. Runs reports and queries to collect data/information for various analysis is an essential responsibility of this position, and manages other HSP projects assigned by HSP lead Program Assistant and Assistant Controller. The Access and Resource Sharing Circulation Team Leader serves as the team leader for circulation functionality in the integrated library system (ILS) and is responsible for standardizing training for faculty, staff and students library-wide. Supports daily circulation activity by monitoring functionality. Through programmed reports ensures that the system produces patron overdue notices and other messages in a timely and instructive manner. Works with a high authority and independence collaborating with Florida Academic Library Services Cooperative (FALSC) and Library Information Technology Department (IT) to resolve system issues promptly. Reports directly to the department Chair; contributes to department goals that set effective priorities and timelines for user-centric initiatives. Participates on Access and Resource Sharing Steering Team and Access and Resource Sharing Committee to centralize policies and procedures in the library system for circulation functions. Provides staff development opportunities to the Libraries by offering outreach workshops on circulation functionality. Liaises with FALSC to ensure that functionality of the integrated library system supports daily circulation processes. At state level, participates in discussions on the Florida Virtual Campus Library (FLVC) Access Services Discussion List; monitors Circ/Resource Sharing Working Group meetings/Wikis to participate in training and secure effective procedures for circulation functions within Sierra/Encore Duet ILS; on local level, is an active member of the Smathers Libraries ILS Planning and Implementation Task Force; leads training and documenting of Sierra/Encore Duet ILS circulation workflows. The College of Dentistry, Department of Oral Biology is recruiting for an OPS Laboratory Technician. This is primarily a research-oriented position. Training will be provided on site, no prior knowledge of the laboratory methods is required. The Xie Lab in the Department of Biochemistry and Molecular Biology is looking for an OPS Laboratory Technician to conduct molecular biological and biochemical experiments. This position will also be responsible for safety inspections, general laboratory maintenance, and ordering laboratory supplies. The Graduate Intern in Information Literacy Instructional Design will support the work of the Information Literacy Committee (ILC) to design an accessible, inclusive, and multimodal library research guide that is integrated in the learning management system at UF. The intern will assess the accessibility of the online tools, model best practices for accessibility and universal design, create universally designed information literacy learning objects, and work with library faculty to implement design changes in existing guides. The Small Animal Operating Room Services with the UF Veterinary Hospital is recruiting for a Veterinary OR Surgical Technician. This position assists with surgical procedures, performs routine and surgical nursing care functions on animal patients, inputs charges and completes surgical records. Finance & Accounting is accepting applications for an Accountant III. This position assists with providing oversight and guidance for University Auxiliary operations/Educational Business Activities, annual Service Center Rate Reviews. As well as with preparing Auxiliary Enterprise Review Committee Meeting Reports and Auxiliary Advisory Committee reports. The successful candidate will provide financial reporting assistance to EBA personnel, as required, and assist with coordination of the Unrelated Business Income Tax, Sales Tax and other local taxes across campus. Finance & Accounting is accepting applications for an Accountant II. The successful candidate is responsible for collecting, compiling and filing the university-wide sales tax and local taxes. This position requires frequent contact with various departments. This position assists with Unrelated Business Income tax return preparation, as needed, and maintains an Auxiliary master contact list. The selected applicant coordinates the Auxiliary Enterprise Review Committee Meetings and Service Center Committee meetings, assist with approval process for new Auxiliaries/EBA’s by the Auxiliary Advisory Committee, and monitors daily requests for internal sales journal entries within EBA’s and assists with review. This position will report to the Assistant Director of Utilities for Water Resources in the Facilities Services Division. The incumbent in this position will assist in providing project development, coordination, and administration for University utility construction, renovation, and repair projects on the water, wastewater, stormwater, and reclaimed water systems, as well as the University’s Water Reclamation Facility. The position reviews, develops, and manages engineering and utility design and construction for university buildings, utility plants, and infrastructure-based projects. The Postal Associate I described herein performs duties associated with the daily operations of the Mail and Document Services unit in the Business Services Division (BSD). Responsibilities include mail and package processing duties including receiving, sorting, and delivery. This Student Financial Aid Coordinator 2 position is in the financial aid advising section of the Office for Student Financial Affairs. The financial aid advising area is the main point of contact for all financial aid program information for current and prospective students at the University of Florida and is responsible for the overall coordination of the aid process for all undergraduate and select populations of regular graduate students. Candidates for this position must possess a good working knowledge of regulations and policies governing federal, state and institutional aid programs and processes in addition to having excellent communication, customer service and organizational skills. This position is the senior member of a two-person advising team and supervises one full-time financial aid coordinator 1, and student assistants as needed. Primarily responsible for administering assigned awards. Primary functions of award administration include award set up, management, and closeout for contracts and grants in assigned portfolio. This position moves the employee from an apprentice level position to a full-fledged Grant Accountant II position which requires the individual to work and make day to day decisions regarding the assigned sponsored project portfolio independently.